LOS ANGELES, Calif. /California Newswire/ — Helping to weave a critically needed safety net for our nation's soldiers and their loved ones, the non-profit National Foundation for Military Family Support (NFMFS) has joined forces with The Charitable Mint to battle urgent needs military families are facing not met by other sources. Upon meeting with NFMFS board member Todd Allen, an acclaimed actor and producer, The Charitable Mint's Founder Joel Duncan announced that they had selected NFMFS to work with in producing an exclusive limited edition collectible coin to offer as a gift through the NFMFS website – www.nfmfs.org – from donations online and at special events to benefit military families. 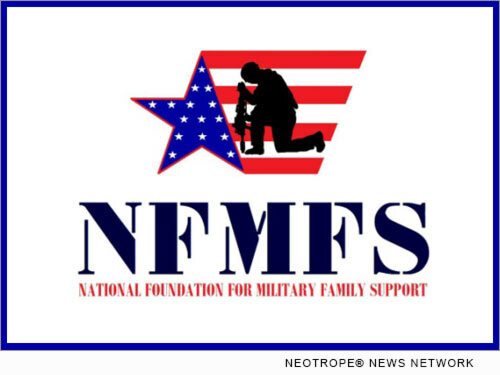 "Since having been introduced to NFMFS, we got to see, first hand, what they were doing by helping vets and their families. We see their goals and what they're doing, and it aligns with exactly what we're trying to accomplish," states Mr. Duncan. "We felt that it was a perfect fit to be able to work together to assist our nation's heroes as well as their families." In addition to the coin program, The Charitable Mint recently provided funds to help a military family with a special needs daughter fighting illness. "When learning about this little girl's story, we at the Charitable Mint were completely touched and really wanted to reach out an help the family and this little girl," expresses Mr. Duncan. Now, The Charitable Mint is working with NFMFS to present the "2016 SaluteFest: Country Salutes the Troops" benefit concert. This show is scheduled for March 26, 2016 in Los Angeles, and will feature country music superstars performing for vets, military families, and supporters. "This is a massive, impressive show unlike any others, featuring heart-warming presentations and unforgettable moments," explains Stephen Rollins. "We will be giving away brand new homes to homeless military families, brand new automobiles modified for injured vets, as well as other special surprises in between each musical set." Mr. Rollins concluded by stating, "The Charitable Mint and it's founder Joel Duncan are truly remarkable, an incredible organization, and words cannot express how honored we are to join with them in making a difference in the lives of our heroes in need." This event is expected to be the largest gathering of military and family members in one place at one time, and will feature many special presentations such as giving away three new homes, three new automobiles modified to fit wounded soldiers, and scholarships. The show is being produced by the two entities along with country music artist and producer Ben Dukes. The National Foundation for Military Family Support (NFMFS) is a 501(C)(3) nonprofit, headquartered in Los Angeles, with the mission to support members of our nation's armed forces and their families with specific urgent needs. Since its launch in 2013, the foundation has evolved from serving as a nexus between those in need and appropriate charities to helping directly provide a range of assistance and resources. Among its current programs, the foundation works to secure free medical, dental and psychological care, employment assistance, and educational scholarship opportunities. Its board includes professionals from entertainment, law enforcement, business and the military. For more information, please visit the website: http://www.nfmfs.org/. The Charitable Mint, an Austin, Texas company, was started with the vision of helping those in need and working with a variety of different causes, by offering a unique product that people will cherish throughout their lifetime. Their goal is to produce high quality, commemorative and collectible coins that will continually sell and provide support for and benefit those in need. For more information, please visit the website: http://www.charitablemint.com/. 15123 Sherman Way, Suite 105, Van Nuys, CA 91405 (P) 866-921-7774.